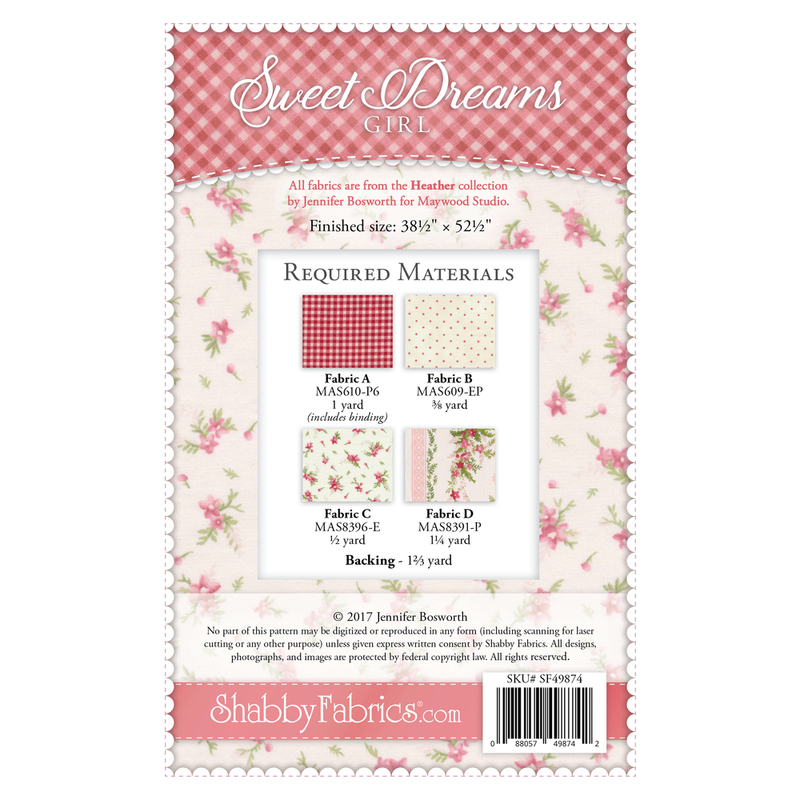 Create the perfect gift for a baby shower, new grandchild, or special little one in your life with the Sweet Dreams Girl Quilt! 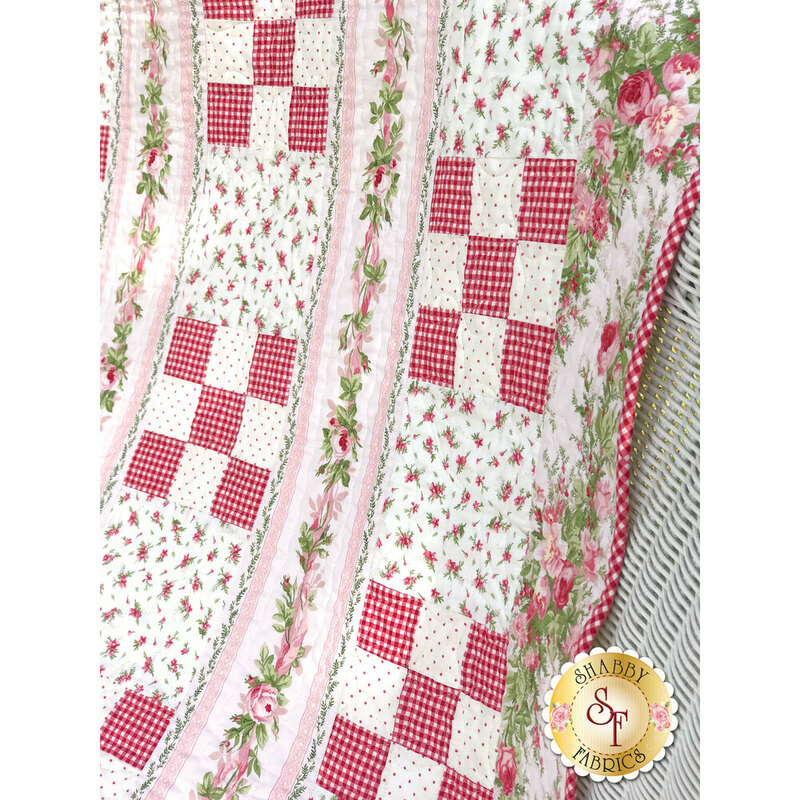 This lovely quilt full of delicate florals, sweet ginghams, and beautiful stripes is sure to be a beloved heirloom for years to come! Quilt finishes to approximately 38½" x 52½".